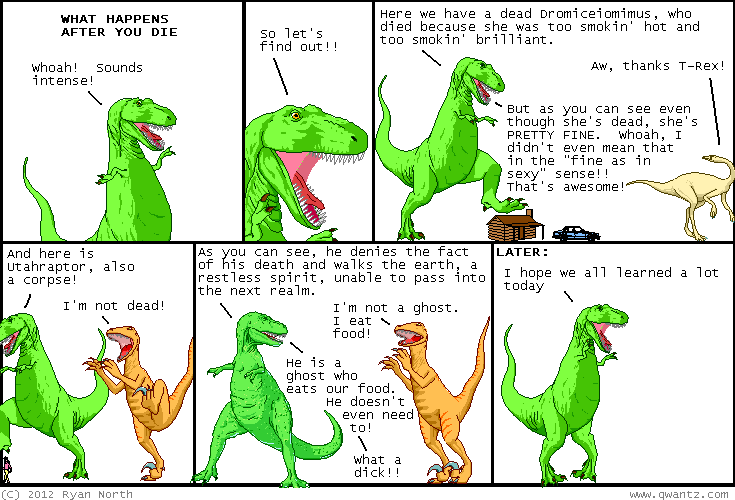 Dinosaur Comics - January 27th, 2012 - awesome fun times! January 27th, 2012: You know how I've made my own magnetic word kit? 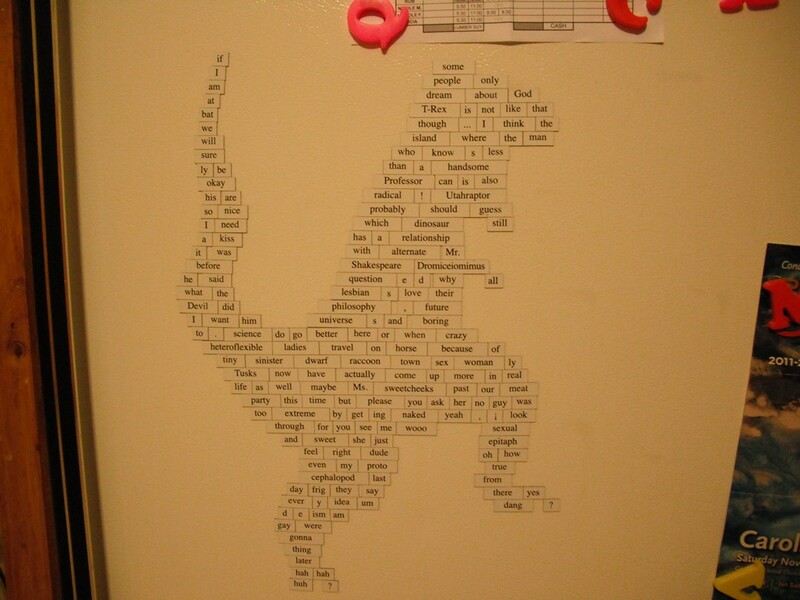 And how it's awesome because it has Dinosaur Comics words in it, and is the only place you'll get the word "heteroflexible" to be on your fridge? Sweeeet. And the words inside form poetry! This is... THE BEST. One year ago today: "Sure! But you probably find something in me that's worthwhile! Either that or you think I'm super hot and like having me around to stare at."